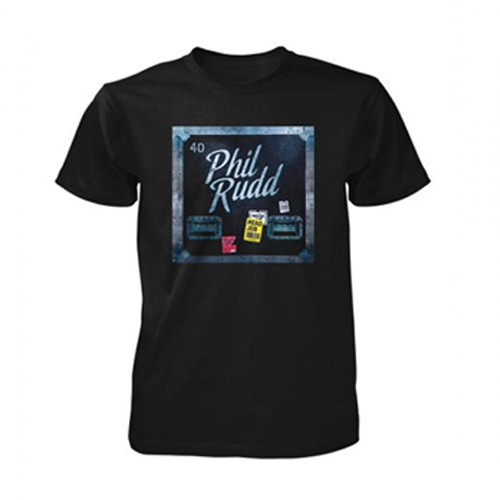 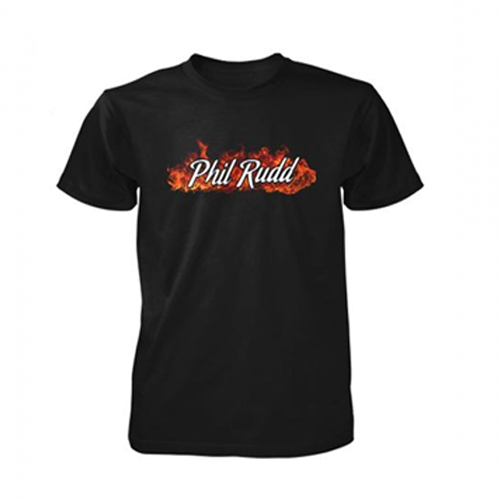 Phil Rudd branded T-Shirt. 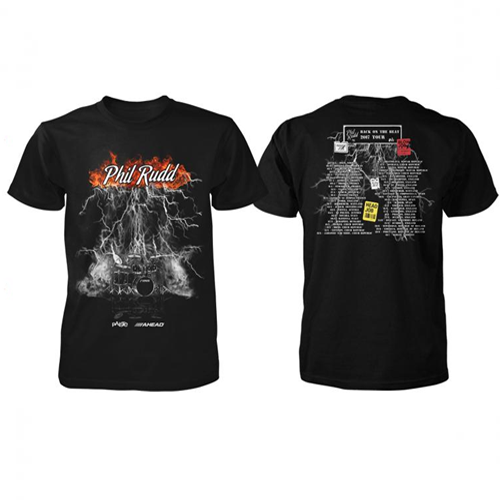 Featuring Flames design on the front. 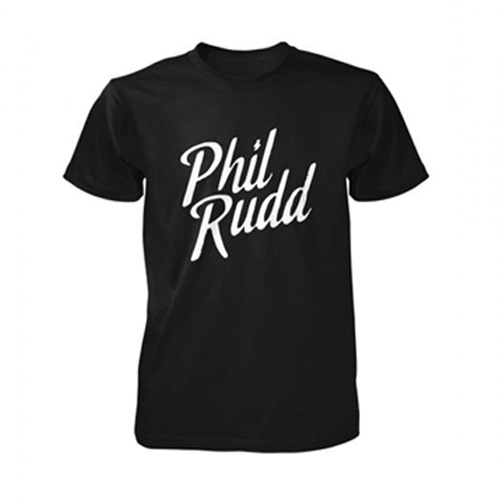 Black colourway.